Does money really matter once you decide to move on? May be not for the travel fanatics, but budget constraints do matter to those who know the value of every penny earned at the cost of dreams and comfort. And if I talk about trekking then expensive trekking tour packages slaughter our flickering desire at the buds. But wait for while! The Indian Himalaya brings an array of priceless trekking options which can be explored within the budget range of 8-20k. From the very basic grade to the challenging ones every level falls under this category and the budget can be customized if the trip is carried out in group. Without compromising on the level of comfort the trekkers can witness some of the unsurpassed mountain views and sense a different thrilling feel that any trekker would like to experience in a high altitude trek. Let’s explore the best budget treks in Indiavirtually before you choose your pick. A short and captivating trek traversing through the highest Shiva temples in Uttarakhand, Tungnath, Chopta – Chandrashila track attracts those who would love to see more than snow, rocks and mountain. The trek, with a maximum elevation of 4090m, takes you through rigorous hikes, emerald green forests and finally offers great views of some of the best mountain peaks such as Nanda Devi, Trishul, Kedar Peak and Chaukhamba peaks. The lake at Deoriya Tal is filled with crystal clear water and appears as a feast for the eyes. Dazzling variations in the scenic landscapes, ancient culture of the tribal people and sudden appearance of the indigenous wildlife are the highlights of this trek. One of the most happening trekking destinations amidst the mountains of Uttarakhand, Dodi Tal Trek is mainly explored for its picture-perfect lake, dense forest and tranquil environs. Covering a distance of around 54 km, the trek reaches a height of 4150 m. The lake is fed by the natural mountain springs and also works as the source of water to the sparkling river Asi Ganga. The trekkers who prefer to traverse through the lavish greenery instead of bare rugged mountain trails must opt for this mesmeric mountain trek. An ideal pick for the first timers, Har ki Doon is located at the base of Fateh Parbat and has a maximum height of 3556m. The trekking starts from Sankari at an elevation of 1950 m and meandering through the picturesque meadows dotted with aromatic flowers, snow coated trails and habitats of harmless animals takes one to the base of Swargarohini Mountain. Giving the trek an even more enchanting look are the wild orchid flowers that bloom all through the year. The second core zone of Nanda Devi Biosphere Reserve, Valley of Flowers is located at an altitude of 3658m and adorned by enigmatic flower grounds. The undisturbed and utterly peaceful trek takes one through the mesmeric vistas dotted with gurgling waterfall, dark green mountain slopes and serpentine river beds coated with abundant grassland. Millions of wild flowers adorn the land during summer while during winter thick coatings of snow fascinate the trekkers in search of unrivalled peace. Considered as one of the best romantic spots in the Himalayan range, Bedni Bugyal is the finest high altitude grassland in Garhwal region of Uttarakhand. The trek harbours an array of high altitude flowers and herbs that are not found in normal low altitude treks. As far as the eye reaches vast virgin meadows, undulating mountain ranges and picturesque valleys greet the visitors with stunning views. The famous Vaitarani Lake is found close to this trek. 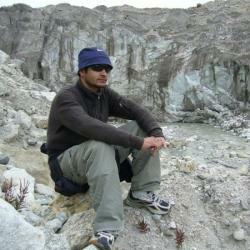 Bedni Bugyal is also famous for being the base camp of Roopkund Trek. One of the less explored and alluring trekking spots in the Indian Himalaya, Chenab Lake trek involves gradual and decent climb. The trek stretches from an elevation of 2050m to 4000 m and ends at a crystalline water body which is the main attraction of this trek. To reach the summit one needs to pass through the last human habitat of Joshimath, Dang village. En-route, get introduced to the lofty mountain peaks of Nanda Devi, Nanda Kot and Dunagiri. From orchids, primulas, poppies to Brahmakamal, and daisies, marigold, anemones carpet the ground. Among the wide varieties of trees plants having medicinal value, Rhododendron, Sal and Teak grove are prominent. The vast stretch of greenery, mountain slopes and dense forest coating portray the picturescape of Dayara Bugyal. Situated at an elevation ranging from 3048m to 3810m, this popular tourist spot is claimed to be hovering the most wonderful natural views in Uttarakhand. Adventure loving souls love to explore the possibilities of Nordic as well as Alpine skiing available in this scenic spot. During winter the trek turns to be one of the best ski slopes in India spread over an area of 28 sq/kms. An ideal spot for setting up your camp amidst untouched nature, Gorson Bugyal Trek is the pride of Uttarakhand tourism. Located at an elevation of 3056m, the trek lets one have the fun of spending time amidst meadows dotted with coniferous forest, oak trees and an awe-inspiring lake located at the centre. The trek is only 3km away from the promising skiing destination of Uttarakhand, Auli and influences the visitors to head towards Chattarkund which is only a kilometre away. 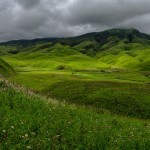 Trekkers embarking during summer would get bonus views of green and grassy meadows blooming into a massive oasis of flowers. 57 km from Mussoorie in Tehri Garhwal region of Uttarakhand, Nag Tibba is a lesser known trekking destination. A quaint spot to gather some unprecedented experiences, this trek is beholder of some unsurpassed views. The best part of this trekking expedition lies in the fact that the base of this trek can be reached by Jeep as well. 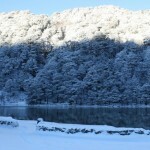 So, trekkers can choose it as a weekend trip as well. This 28 km long trek ranges from a height of 1400m to 3022m and offers opportunities of camping in some of the best terrains perched atop the Himalaya. The trek encompasses some of the most impressive canvases painted by the typical Garhwali Villages, and plenty of temples. An ideal pick for the amateurs seeking adventure, Snow View point is nothing less than a feast for the eyes. Located in Nainital, Uttarakhand at a height of 2270m above the mean sea level, this is an awe-inspiring destination to walk on snow coated trails. En-route, get bewildered by the charismatic stance of Nanda Devi peak, Mana Parvat, Doonagiri, Bithartoli, Neelkanth, Hathi Parbat, Gori Parbat, Nar Parbat and Kamet. Carry a pair of binoculars, dress in local Kumaoni attire and let yourself framed with Himalayas at the backdrop. The temple of Dev Mundi is the seat of several deities such as Durga, Shiva, Sita, Rama and Laxmana. A perfect pick to transform you into a worshipper of Nature God, Kuari Pass – Tapovan trek via Khulara makes your beat pulse at every turn. The trek starts from Auli at an altitude of 2450 m and passing through a chirping wood of oak, deodar, maple, and chestnut trees the trek takes you to Khulara Campsite. From Khulara to Kuari Pass, it is a climb that reaches a height of 4268m. A unique species of avifauna is the main attraction of this stretch. En-route you will come across a trail that meanders through a ridge where you will come across a wide stretch of meadows presenting a striking view of the Himalaya. If you want to enjoy the union of adventure and pilgrimage, Hemkund Trek is the ideal pick. Located at an elevation of 5029m above sea level, the trek offers serene views of some of the loftiest mountain ranges; the trek finally ends at a crystalline lake believed to be consecrated. The trek is mostly explored by the Sikh believers. The trek to Hemkund is strewn with hard rocks. Beyond Hemkund the meadows are emblazoned with blooming Brhmakamal, a variety of high altitude flower that grows at a height of 3500m and above. A good place for the beginners to learn and enjoy trekking, Sham Trek has a maximum elevation of 4500m and binds one’s soul with the alluring views of the lofty mountain ranges. The glimpses of enchanting Himalayan homestay villages like Basgo-Tunglung, Tarutse and Ulley are enough to let one feel amazed. The best accomplishment of this trek is the unparalleled communion of nature and culture. Traversing through the famous Apricot Valley of Ladakh, the trek introduces the travellers with the ethnicity of the Ladakh Village life. A few steps ahead one would get the opportunity to get familiar with the eternal traces of different sects of Buddhism hidden in the ancient Gompas. When trekking turns out to be a more happening activity than mere snow, forest and mountain watching, we call it a grand feast. Embarking on Spituk Trek one can perfectly enjoy this feast. Less demanding and full of delights, the trek ends at a height of 4900m. En-route, get introduced to the way of living of the local Ladakhi people. Age old Budhhist monasteries, farming techniques of the local farmers are the highlights of this trek. Those who are fond of exploring ancient religious relics must embark on this route. This is a fascinating trail that passes through some of the earliest surviving monasteries dating back to the 10th – 11th century. For gathering vivid knowledge about Tibetan culture and to witness their unique architectural style, these Gompas are the most ideal options. Further the trek grants one the privilege of walking through some of the most fascinating high altitude mountain passes such as Prinkiti La at 3,720 meters, Penji La at 3,400 meters, and Konski La at 4,950 meters. Passing through the remote and picture-perfect diorama of Ripchar Valley, and settlements of nomadic tribes set amidst flourishing woods and bright alpine flowers, Lamayuru Chilling is a moderate trek in Ladakh region of the Himalaya. The trek commences from Lamayuru, the oldest monastery in this region and introducing you to the Indo-Tibetan ethnic creations it ascends towards Konze La (4950m) and finally concludes at Chilling. The view of the Karakoram and Zanskar ranges are the highlights of this trek. It’s not that walking on arduous trails is the ultimate gain of trekking. The less taken paths are even more enchanting and Dzongri trek in Sikkim leads the march. A perfect example of eco-friendly ambiance, the trekking option takes you close to a frame of scenic beauty, untamed wilderness and local culture. The moss laden trail meanders through the lush green forest dotted with trees like oak, chestnuts, pine and a plethora of Rhododendron. The trek commences from Yuksum at a height of 1780m and reaches an elevation of 4020m. Sparkling waterbodies, tropical forest, and mystic gorges are the highlights of this trek. The colourful Himalaya is found at its best in the enclosing areas of Singalia Ridge trek. A secluded spot from the clamours of city life, Singalia Ridge rejuvenate the inner soul presenting awe-inspiring views of snow-clad Himalayan peaks and generate a thrilling feel presenting array of wildlife, high altitude birds and wild insects. While exploring the vicinity one would get a chance to experiment with the trekking voyage and would get to know about different high altitude flowers and trees. Singalia National Park is the highlight of this trek where you might have a glimpse of unknown wild animals grazing freely. The trail stretches from an elevation of 2134m and winds up at an altitude of 3636m. Abundant green pastures, thick Deodar and Rhododendron and scattered Hindu temples are attractions that make Indrahar Pass Trek so famous amongst the tourists. Starting from McLeodganj (Dharamsala) in the Kangra valley, the trek passes through the awe-striking snow clad Dhauladhar range and ends at Chamba. The initial steady climb turns steep at some places and if you are lucky you might have a glimpse of wildlife including wild goat, Monal bird and Leopard as well. The trek starts from Mcleodganj, which is a suburb in the city of Dharamsala in Kangra Valley, at a height of 2196m and ends and concludes at a height of 4375m at the Indrahar Pass. The originating point of river Beas is the primary attraction of Beas Kund Trek. 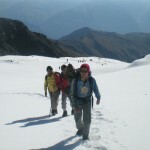 Easy going trek takes minimum time to come across and make it a perfect pick of all age groups. The pleasant views of Mt. 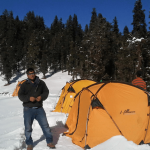 Hanuman Tibba and Seven Sisters from the Dhundhi camp site is a lifetime experience. Wide stretches of emerald meadows and impressive glaciers adorn the trek with captivating beauty. The trek starts from Manali, the romantic getaway and winds up at a height of 3650m at Beas Kund. Exploring the source of rivers is a fun-filled activity and the Himalayan glaciers are the best spots to satiate that thirst. Chandratal Trek is one such pick which presents an opportunity of witnessing the originating point of Chandra River physically. The adventure buffs can gather adequate amount of food in this route to satisfy their thrill monger soul. The lake is located at a height of 4300m above the mean sea level and only 6 km away from the Kunzum Pass in Spiti and Lahaul district of Himachal Pradesh. The main attraction of this trek is the water of the lake that turns reddish to orange and blue and finally by the end of the day turns green. Known among the tourists as a pilgrimage destination, Manimahesh can be an ideal option of trekking for the amateurs. Less challenging trek is full of lesser known natural elements and spiritual traces found on the way revive your exhausted soul impeccably. The Manimahesh Kailash peak is located at an elevation of 5775m and is regarded as the jewel in the crown of Shiva. Every year famous Manimahesh Yatra commences on Krishna Janmashtami and concludes on Radha Ashtami. After reaching Manimahesh Lake, pilgrims take a dip in the lake to achieve divine sanctity. 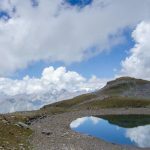 The travellers who wish to see the lofty peaks of Himalaya from a close distance without worrying much about the altitude sickness must travel to this beautiful trekking destination. The Bhrigu Lake which is located at a picture perfect landscape turns to be the main attraction of this trek. Located at an elevation of 4300m, the lake exudes an enigmatic view when it freezes and looks disc shaped during winter season. While embarking on this trail get introduced to the vibrant lifestyle of Himachalis living in the huts perched atop the mountain. Vashistha hot spring and the views of adjacent villages sprawling on the small hillocks add to the scenic views of this trek. An ideal site to get an idea about the ancient Shikhara style of temple architecture, Jagatsukh is a quaint village at a distance of 6 km from Manali. The commencing point of the trek leads to the base of Deo Tibba and turns to be a feast for the eyes for its opulent scenic view. The journey brings opportunity of walking through a varied landscape intertwined by colourful orchards and thick forests dotted with varied species of plants and animals. The trail further runs parallel to the Pir Panjal Range and lets one witness the captivating beauty of Deo Tibba. The meadows at Seri look impressive for the amalgam of alpine trees with colourful flower grounds and herbs. There are very limited numbers of treks in the Indian Himalaya where first timers can get every fun-filled elements of trekking in its entirety. Hampta Pass Trek is one of those few limited treks which are easily accessible and is covered with dark green pine forests, wide stretch of meadows, and glacial valleys. The easy going alpine trek approaching towards Chandratal, colour changing water of the lake, and the jeep ride through the Rohtang Pass are the highlights of this trek. Minimum level of expertise and physical fitness are a must for embarking on this route. Pindari Glacier is considered to be the most appealing mountain trek in Kumaon range of the Himalaya. Wrapped with lurching moraines, hulking high snow clad peaks, the chocolate grounds and spotless blue sky meeting the horizon paint the canvas of this trek. The trek starts from Loharkhet at a height of 1760m and concludes at Pindari Glacier, the zero point at a height of 3900m. 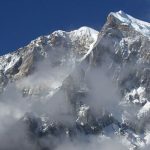 Availability of the vast quantity of snow that precipitates in the peaks like Nanda Devi and other surrounding summits of the Greater Himalayan range turns to be a prime attraction of this trek. To conclude, I must say the options are many to awaken the adventure loving soul in you provided you have the determination to step on the grounds of the Himalaya. It doesn’t matter if you are muscleman or an average person with indomitable will power, the treks will never let you down. Picking your favourite one as per the budget you can save some bucks and who knows you might fall in love with the Himalaya and may even want to build your dream castle in its lap.